You should be able to pick up a few good bargains. This coat was half-price – a real bargain. The airline regularly offers last-minute bookings at bargain prices. We got tickets to the show at half-price, a real bargain. Check out the Ucinek family shopping haul. The thieves escaped with a haul of antiques worth over £3 million. Moss took advantage of the defender’s mistake to score a goal. Many schools don’t take full advantage of the Internet. He has racked up 450 points in three months. Last year, they racked up profits of more than £3 million. The film racked up five Oscar nominations. 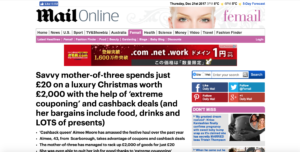 But one savvy mother-of-three has spent just £20 on the big day including everything from presents to cards, decorations and her family’s entire Christmas dinner with drinks. Aimee Moore, 43, from Scarborough, has spent the tiny sum on a luxury Christmas for her family – but has got £2,000 worth of food, booze, and presents including the latest children’s toys after taking advantage of coupons and cashback deals throughout the year. 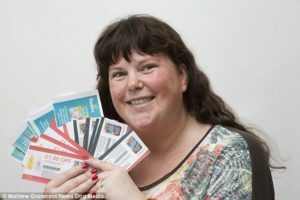 Self-styled ‘coupon queen’ Aimee has spent the last year building up her festive haul – using special offers and amassing thousands of pounds’ worth of free cashback to give her family the ultimate Christmas. I’m not forking out £400 on ski clothes! I forked out ten quid for/on the ticket. I couldn’t persuade him to fork out for a new one. The sum involved in the sale was not reported. He sold the house for a tidy (= large) sum. He was fined a sum of £1,000. Companies are prepared to pay substantial sums for the use of our facilities. I worked for three whole weeks for which I received the princely (= very low) sum of $100. The party’s at Kate’s on Friday night – bring some booze. 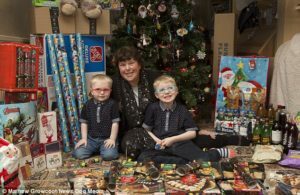 Aimee – who is mother to sons Isaac, nine, Dexter, seven and Bertie, two – said: ‘Christmas used to be a very stressful time of the year for me. ‘In the run-up to the big day, I would be worrying about how I could afford everything. And by Boxing Day, I would be fretting about my card bills. ‘But now with couponing and cashback apps, everything from the must-have Christmas toy to the turkey on the table costs me next to nothing. I don’t know how he can afford a new car on his salary. I’m not sure how they are able to afford such expensive holidays. We need a bigger house, but we just can’t afford the rent. Don’t fret – I’m sure he’s OK.
She spent the day fretting about/over what she’d said to Nicky. Don’t fret – I’m sure we’ll find the kitten. Don’t fret, I’ll be fine. There’s no point in fretting about things you can’t change. The iPod quickly established itself as a must-have device. They pay me next to nothing (= very little) but I really enjoy the work. It’s next to impossible (= extremely difficult) to find somewhere cheap to live around here. We got home in next to no time (= very little time). After the company closed, investors were left with next to nothing. ‘So now when I see my kids’ faces light up as they open their presents or as they enjoy their lovely festive meal, I feel proud. Rosa’s face lit up when she saw the dog. What I want most of all is to spend more time with my little girl. The kids loved the fair, but they enjoyed the bumper cars most of all. It was a warm winter, so we saved on electricity. Using eco-friendly light bulbs will help you save on electricity bills. Keep your showers short to save on water. All our timber is sourced from sustainable forests. Aimee explains: ‘I start planning for the festive period in January. If you make the time to do so, you can buy things like luxury Christmas crackers and wrapping paper for virtually pennies. ‘As well as looking for offers and checking prices throughout the year, I also use coupons which offer products like wine and even champagne for free. And I’ll save these under the stairs or in the attic ready for December. ‘But perhaps my biggest trick is cashback apps, which give you money back whilst you shop. ‘I use a variety of different apps on my phone – some like Shopmium and Greenjinn which offer cashback in money, and others like Topcashback, MobileXpression and quidco that provide it in the form of Amazon or Tesco vouchers. Their twins are virtually identical. That wine stain on my shirt has virtually disappeared. Virtually all the students live in university halls of residence. Vaccines have virtually eliminated many childhood diseases. It’s virtually impossible to get him to eat vegetables. I’m looking for Jim. Have you seen him? Police were looking for clues as to the woman’s identity. I’ve got boxes of old clothes in the attic. ‘Whilst I use the money from cashback apps on various household things during the year, I save up my cashback vouchers so I can spend them on my Christmas shopping. 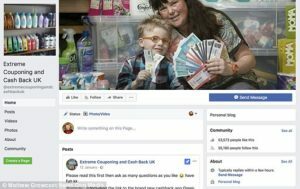 Aimee started couponing in 2013 and has become an online celebrity thanks to her ingenious money-saving tips – with her Facebook page ‘Extreme Couponing and Cash Back UK’ clocking up over 55,000 followers in under two years. Aimee, who was able to quit her job as a warehouse supervisor to become a full-time mum to her sons through ‘extreme couponing’, said: ‘Three and a half years ago, we were skint and struggling as a family. ‘But through couponing and cashback, I’ve been able to save thousands on our bills per year and eventually I was able to become a stay-at-home mum to my kids. It took me months to save up enough money to go travelling. She‘s saving up for a new bike. She spent all the money I had saved up for our trip. We need £1,000 a month to cover the rent. Skiing is not very tiring, once you get the hang of it. Thanks to this treatment, her condition has improved. It’s thanks to Sandy that I heard about the job. The baby is awake thanks to you and your shouting. Johnny is so ingenious – he can make the most remarkable sculptures from the most ordinary materials. Dawson has clocked up 34 years as a police officer. The Australians have clocked up three gold medals and two silvers in the swimming events. I get paid each Friday, and by Tuesday I’m always skint. ‘I was getting lots of messages from friends asking me how I was saving money so it seemed easier to just put all my money-saving tips in one place. ‘I was shocked and pleasantly surprised when I started racking up thousands of followers on my Facebook page every month with my couponing advice! ‘Couponing and cashback is definitely my passion and I love helping others get a bargain too. ‘It really is so easy to save money as long as you follow a few simple tricks and it’s also very rewarding. Christmas comes round so quickly! I got a pat on the back from (= was praised by) my boss. You’ve done a great job, and you deserve a pat on the back . 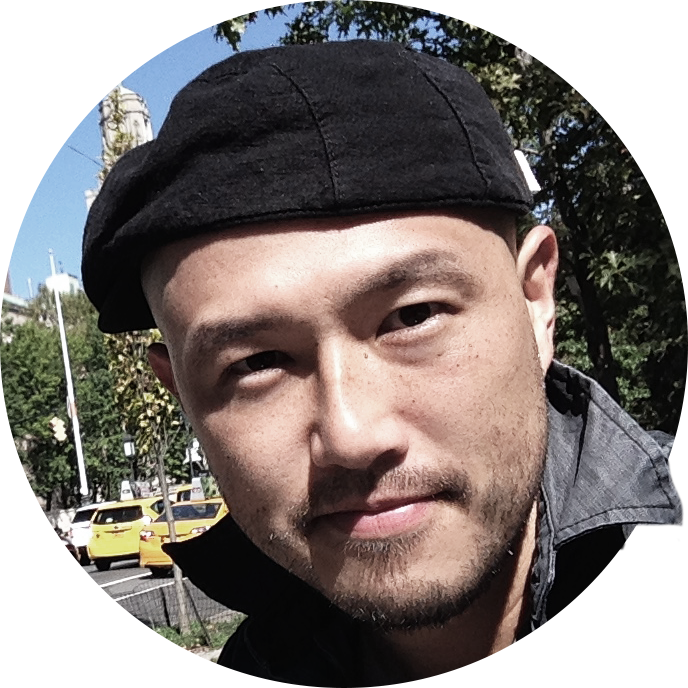 Lee deserves a pat on the back for being so honest. Give yourselves a pat on the back. You’ve done very well. He lost a fortune gambling. You can make a fortune out of junk if you call it antiques.